Koh Bon Island is a beautiful tropical island, located just 15 minutes offshore from Rawai on the southern tip of Phuket. The location of Bon Island is ideal for visitors who would prefer to take a day trip to one of the closer offshore islands around Phuket. Bon Island is a small rocky island with several small beaches on the western side of the island. At the northern tip of the island is a medium sized beach, where the Bon Island Beach Restaurant is situated. On the eastern side of the island there is a longer beach. 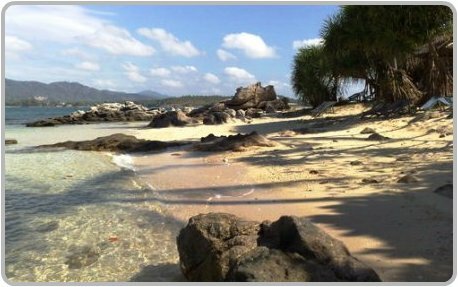 This beach was once used exclusively by guests who stayed at the Everson Resort & Spa in Rawai. Bon Island is stunning with its white sandy beaches and clear turquoise waters. This is a great day trip from Phuket for snorkelling, swimming or just to sit back and relax on the beach. On your way over to the Island ask your boat driver to stop at the south-west corner of Bon Island; this is one of the best spots for snorkelling. Kids will have a fun day out at Koh Bon as there is lots of fish for the kids to see. Apart from the fish there is also an array of other marine life, birds, trees, plants and reptiles to see. 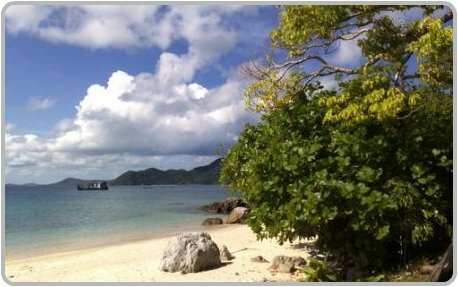 You can also combine your day trip to Koh Bon with a trip to Koh Hei also known as Coral Island. When visiting Bon Island ensure you stop off for lunch at the Bon Island Restaurant. The beachside restaurant is owned and operated by a friendly English lady named Dawn. Dawn and her friendly staff will help you choose from an appetizing selection of freshly, caught and prepared seafood, authentic Thai or western cuisines. Enjoy your lunch and cold drinks in one of the thatched Salas on the beach. Bon Island Restaurant also welcomes large groups and has seating for up to 300 guests. 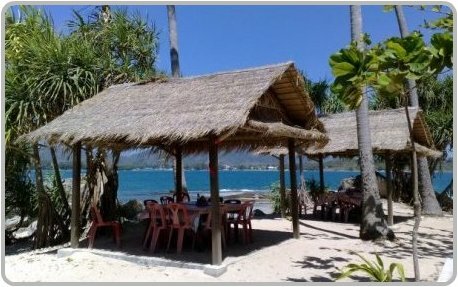 See reviews from other visitors about Bon Island Restaurant on TripAdvisor. The only accommodation that was available on Bon Island was a honeymoon suite that was operated by Evason Resort & Spa in Rawai. In May 2012 the Evason Resort closed and to date there is still no accommodation available on the Island. If you are looking for accommodation close to Bon Island and would prefer something a bit more private, we can recommend Coconut Paradise Villa's which are located in Rawai. 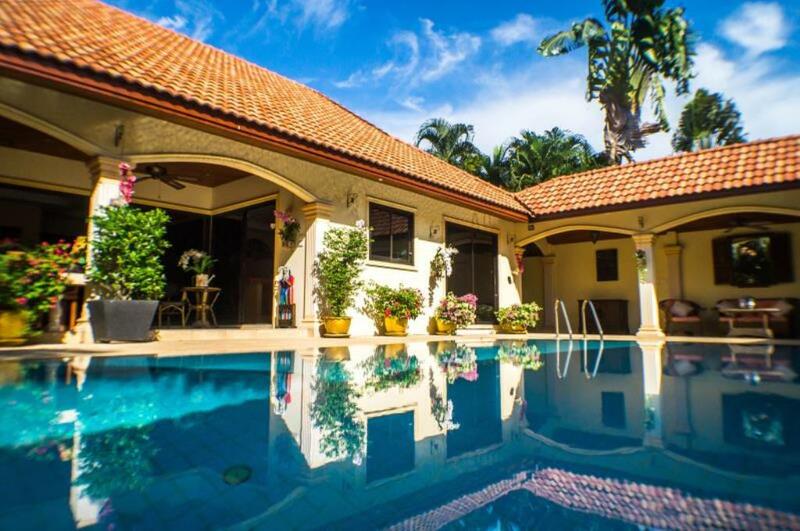 These private pool villas are set in a beautiful location only 1 kilometer from Rawai Beach and 2 kilometers from the stunning on the southern tip of Phuket. The Villas are perfect as a family retreat or are suitable for large group holidays while still maintaining privacy. See a full list of villa's available including villa rates and reviews on Trip Advisor. Bon Island can be easily reached by long-tail boat or speed boat from any of the main beaches in Phuket. 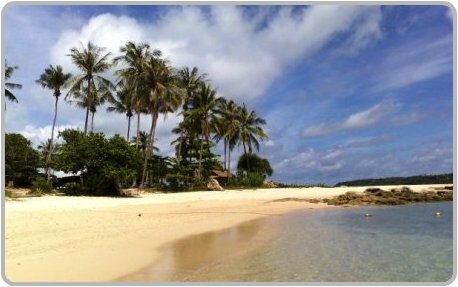 The closest beach is Rawai Beach, from Rawai it is only a 15 minute boat trip to Koh Bon. Boat prices are not fixed prices, but expect to pay around 1200 baht for a longtail boat ride from Rawai to Bon Island and return. PLEASE NOTE: When visiting Bon Island please do not feed the fish, as fish feeding in the waters around Phuket is illegal.